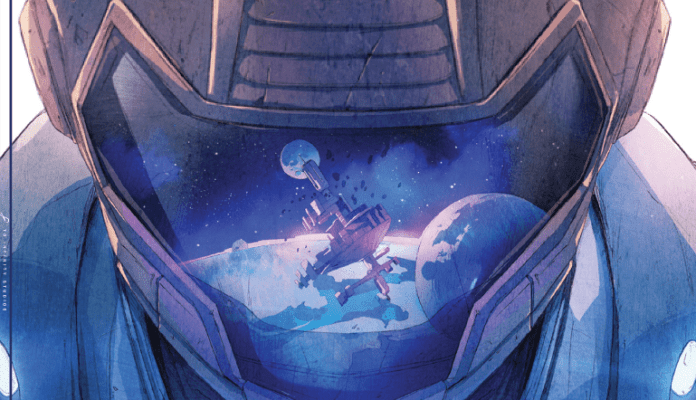 The year continues to churn for Scout Comics as yet another series, which will arrive in 2019, was announced for release in The Wild Cosmos, from writer and artist Curtis Clow. The series will take place in a future in which humanity can navigate the stars and inhabit multiple worlds, across an expanding universe. Cooper, a captain of a group of smugglers, leads his crew down a wrong path, and must now trade with murderous intergalactic pirates. Tasked with capturing a mysterious and dangerous girl, named Zara, who seeks revenge against the people who ruined her life, the crew must comply, to save the life of a captured crewmate. For more information regarding this upcoming series or any other Scout titles, please contact Publisher James Pruett at: james.pruett@scoutcomics.com. Check out the cover for the first issue, including interiors of the first few pages, below.